Thomson Cottage is simply the best of both worlds; nestled between a beautiful white sand beach and luscious rainforest, it's a dream location for the perfect beachside break. 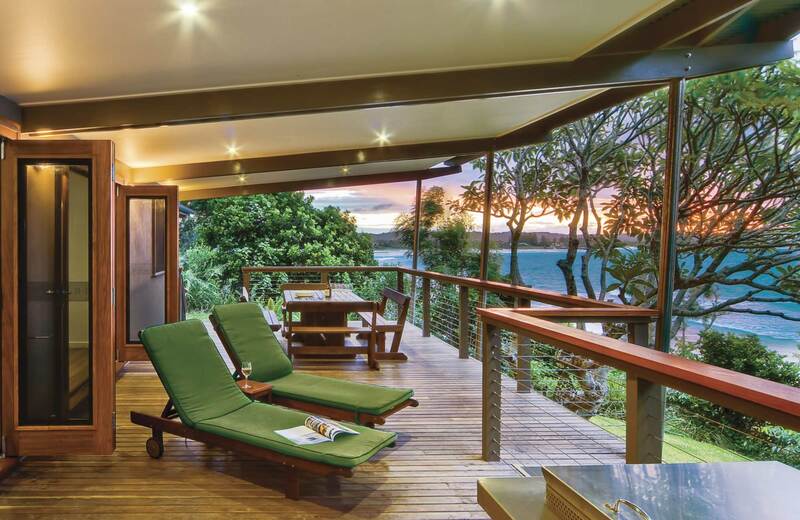 The award-winning accommodation is ideal for family or friends looking for an indulgent holiday getaway near Byron Bay on the idyllic north coast. 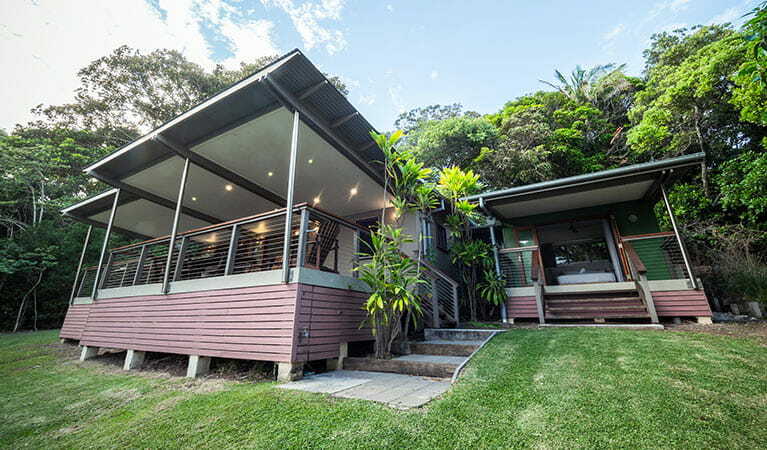 Hidden within Cape Byron State Conservation Area, the cottage offers privacy with unimaginable views of the famed surf spot 'The Pass'. From the expansive balcony you can watch the waves roll in, check out the local dolphins swim by and even humpback whales in the winter.